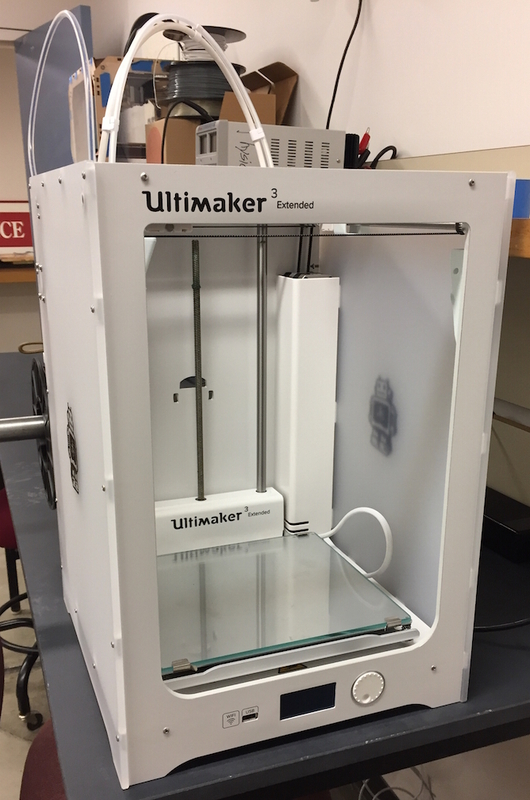 Here you’ll find info on our newest printer, the Ultimaker 3 Extended. We purchased this printer in December 2016. PVA support material is water soluable and will completely dissolve after soaking in water overnight. I’m still getting this printer dialed in but so far it’s pretty amazing. This printer is more challenging to use than the Makerbot but it’s also much more capable. Like the Makerbot this printer is open to use by anyone at Reed (students, faculty, and staff).